Buster Simpson, 2008. Arroyo Seco Parkway, Pasadena. Stainless steel, recycled water. Inscription reads: Whole Flow is an offering to the water table. 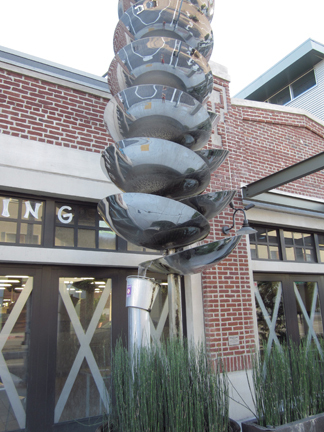 City of Pasadena Public Art Program, Bellevue Ventures, LLC, Whole Foods.